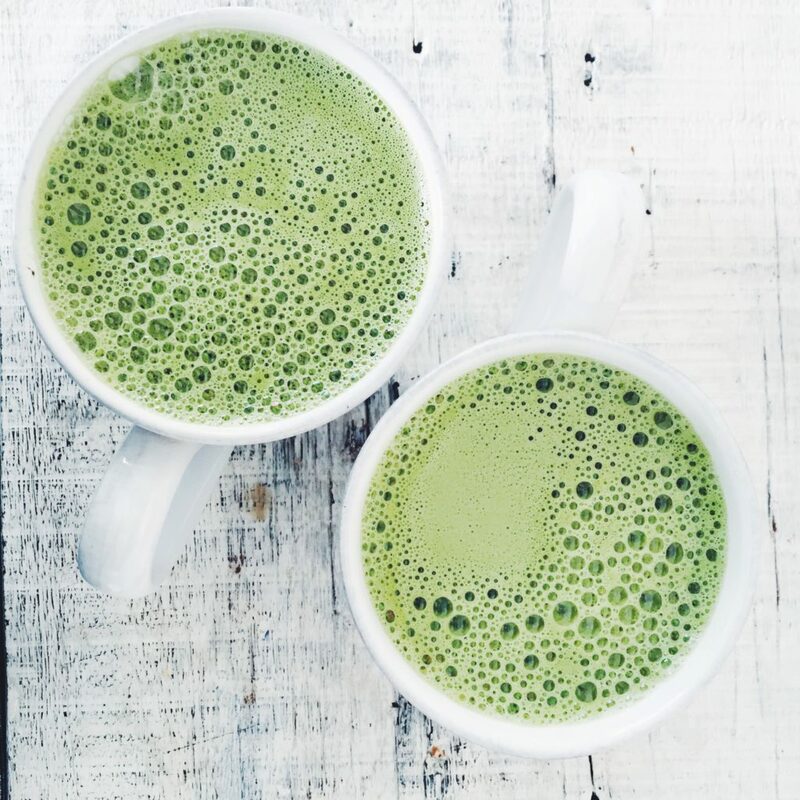 I am obsessed with nut milk matcha lattes. I like that they are dairy free and don’t have the strong caffeine buzz that coffee gives you. There aren’t any coffee shops near where I live that make them, so I have to make mine at home and now you can too. Try making this with my homemade cashew nut milk recipe. 1 teaspoon matcha green tea powder. I like the one by Clearspring brand. Sweetener of your choice. I don't add anything to mine, but you could add some honey, maple syrup, or brown rice syrup, maybe start with a teaspoon and adjust to your taste. Also, if you've already sweetened your cashew nut milk, you might not need any sweetener. In the blender place the matcha tea powder, hot water and cashew nut milk. Blend well for 20 seconds on high, so it gets nice and frothy. Pour in your favourite mug and enjoy!